Click a question below to read the answer. Don’t hesitate to reach out to us if you have further questions! What tools do you use to train? We don’t limit ourselves or the dog’s learning by limiting our toolbox. We use what your dog needs and what you’re comfortable with. That includes a wide range from treats to remote training collars to haltis to prong collars and everything in between. We want to see your dog succeed. It’s using a low level tap to gain your dog’s attention either to request a behavior from them or to distract them from continuing an activity they should not be pursuing. Every client feels the collar before using it on their dogs and say it feels like a tickle. Remote collars are as far removed from shock collars as the first cell phones are to iphones. Your dog should not be afraid or in pain, but actually happy to see the collar and do the work. What age should we start training? Right away! For puppies 8-14 weeks we offer a puppy preschool and an online puppy course option. 4 months and older are eligible for private lessons and 6 months and older for board and trains. But don’t wait! It’s critical to start training young! Our training programs are an investment into a happy future with your dog. They are listed with pricing available under the programs tab. We have a range of pricing to best help you. We don’t currently. However paypal offers a great 6 month no interest payment plan option that many of our clients have used to great success. We offer a free phone consultation with our trainer, Viktoria, who will listen to your goals and the challenges you’re struggling with and will help guide you to which program is the best fit. Do E-Collars shock my dog? No! 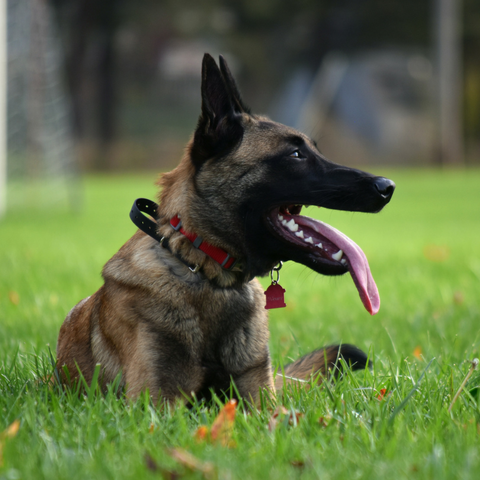 Low level e-collar training is state of the art in its ability to communicate with your dog. It’s as far removed from the shock collars of old as the first cellphone is to the iphone today. Used appropriately, it’s the safest tool to use for training. Will my dog rely on food to obey? No. We use food in our initial training to teach behaviors and encourage engagement. We phase this out of the picture as your dog begins to enjoy working with you. Your dog shouldn’t need a treat to comply with your commands. Will my dog's personality change? Our training helps bring out the best in your dog while stopping the behaviors you’re not fond of. The things you like will be around to stay and get the chance to flourish. We offer a flexible schedule with weekend and evening times available to best fit your needs. Lessons are by appointment only. We have tons of tips, tricks, how tos and videos full of advice on our facebook and youtube pages. No. Dogs are living breathing creatures and we cannot guarantee their responses. We can however tell you that we have a large family of happy clients that have seen great progress following our training programs. Can I visit my dog during a board and train? We ask that you try and limit visits. Dogs go home over the weekends to make sure you get to see them throughout the process. We keep owners updated through facebook videos and pictures, and are happy to answer any questions you have about them throughout their stay. Do I need to keep working with my dog after they complete training? Yes! Think of a board and train like you are hiring a fitness coach to live with you. They give you the tools to get you into shape, as well as methods for eating and exercising right, then after 3 weeks you head home. Now you’ve got the body you want and you can choose to either continue to eat and exercise healthily or go back to consuming fast food and sitting around. Bootcamp is the same idea for your dog; you need to continue the training at home until it becomes second nature for you and your dog. Is my dog to old, stubborn, set in his ways to learn? "It was amazing to watch the transformation during Nellie's first session. She was calm and listened!" Curious how we got started? Want to know more about our programs and pricing?